Happy Monday! I hope you had a wonderful weekend. I'm still trying to recover from the Holiday Workshop at Carrie Blake Park. THANK YOU to those 54 crafters and volunteers for making the event so successful. Doodlebugs and I appreciate your support and look forward to our 4th workshop. For those people who couldn't make it, we are having another workshop on November 6th. We have already sold 22 tickets so get your ticket soon. We have changed our program for the next event. It will be 12 self-paced projects (4 cards, 4 tags and 4 gifts) with no classes. As I promised last week, this is one of my class projects that we did at the Holiday Workshop on Saturday. It is an easel card with an opening in the back so that you can place a battery-powered candle. It will make a beautiful holiday display, don't you think? We stamped on a piece of white vellum to get the see-through effect. We used the negative part from the Top Note die for the easel frame and saved the positive part for another project to make a gift box which I will show you later. Just a quick post today. I have way too many things to do before this Saturday's BIG event but wanted to share this simple and clean card with you. 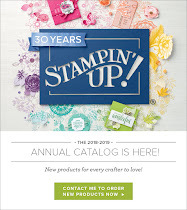 I was so happy when Stampin' Up! brought Baja Breeze back in our color collection. Believe or not it goes very well with Rich Razzleberry. 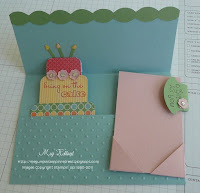 The embossed piece is one of the new embossing folders in the new catalog-love it too! What a night! We had a meeting last night for the Holiday Workshop that I am co-hosting with Doodlebugs this weekend. We had a light dinner and created two 1.5 hour class projects and four self-paced projects in about 4.5 hours. Cathy from Doodlebugs and I have been working on these projects for a long time and it was nice to "refresh" our memories....Yeah, I did forget some critical points on my class project. I took notes once again to include in my instructions!!! Anyway it was a great night. THANK YOU to our helpers Whitley, Lynn, Sheryl and Barbara! You are the BEST! Ever since I received a similar fabric flower card from my mega upline Jill Olsen from Utah last holiday season, I had been dying to make my own. I made one and absolutely loved it. So at my last Big Shot workshop we made this card and the ladies loved it too. I really would love to show you my projects for the Holiday Workshop but have to wait till next week. But I can tell you one of the projects has this fabric flower technique. So stay tuned! Hi Stampers! I would like to show you this card today. Actually I created it a few months back when I preordered stamp sets from the new catalog back in June. As you know, being a SU demonstrator, we get some neat perks! We get to put our hands on some new products earlier than they become available to customers. 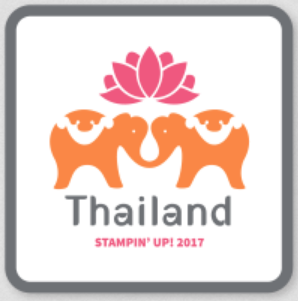 That's just a start..... free stamps, amazing discounts.... If you ever wonder about becoming a demonstrator like me or a hobby demonstrator to enjoy the perks, please feel free to contact me. It's a lot of fun. This is my BEST job ever! 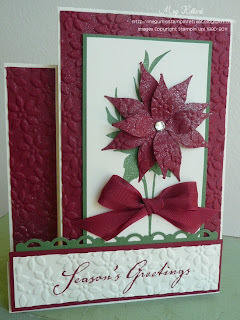 This is one of the cards we made at Paula's Christmas workshop. She and her crafty friends visited me at my studio from Port Ludlow last month. It was a lot of fun. I met Paula at last year's craft event I co-hosted with Doodlebugs, a local scrapbooking/paper-crafting store here in Sequim. We are having another one (Holiday Workshop) this weekend at Carrie Blake Park. I heard some of the ladies from Paul's workshop are coming to this event and am excited to see them again. I have been busy working on my projects for this event last 3 weeks and have created 4 class/self-paced projects and more for display only. I can't wait to show to those who are coming to this workshop. I will post the projects here after Saturday, so stay tuned! 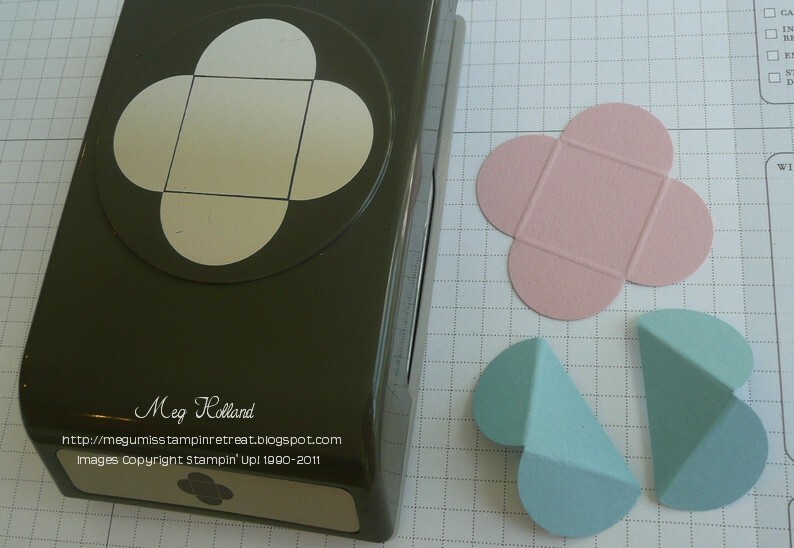 I had so much fun making these Matchbox Nugget Boxes using the It's a Wrap Occasions and the Petite Pairs stamp sets. I stamped an image from the It's a Wrap stamp set on a mailing label and adhered to a piece of card stock and then wrap around a Nugget. Four Nuggets nest nicely in the Matchbox. 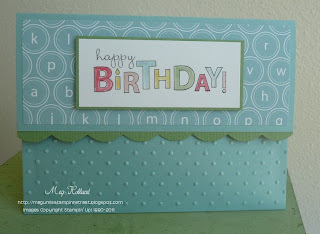 Before assembling the sleeve of the box, I ran it through Big Shot using my favorite Stampin' Up! embossing folder. The Petite Pairs stamp set has a great assortment of sentiments. We made this Travel Log mini album at my Scrapbook Club workshop back in June using a sheet of 12" x 12" DSP as a base of the album. When opened, there are 4 pockets you can insert a piece of card stock with a tab. It's a great place to write notes or attach pictures. I love the Nautical Expedition Designer Series Paper which is only available till the end of this month. It's also a part of this month's promotion (Buy 3 packs of DSP and get one FREE). Time to stock up! 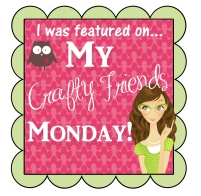 If you are interested in being a part of my monthly Scrapbook Club, please contact me. It's a lot of FUN! 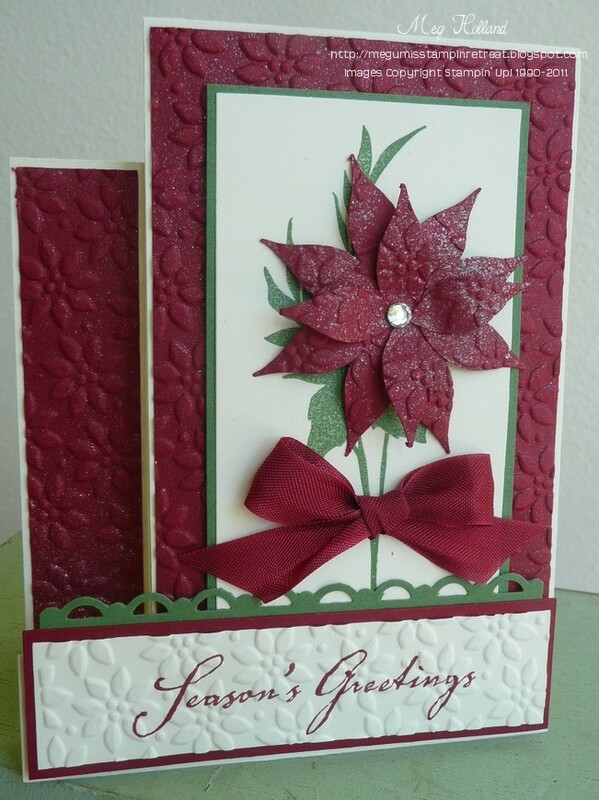 This is another card we made at my Card Club workshops this month. It looks very simple and clean but there is a surprise inside..... When you open the card, a birthday cake will pop up and there is a gift card holder tucked in right next to the cake. I love the Itty Bitty Shapes Punch Pack to add small flowers with Basic Rhinestones in the center of the flowers. 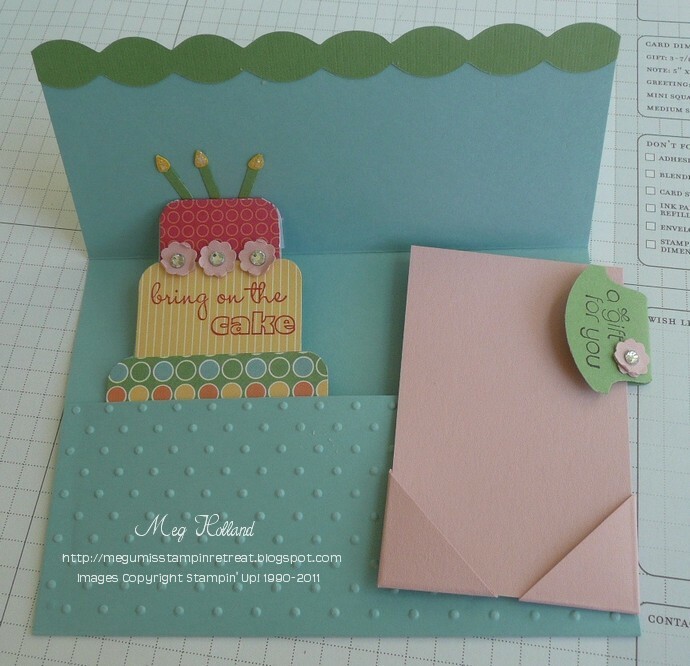 The gift card holder was also created with the Petal Card Double Punch and the Round Tab Punch. Let me know what you think! Hi Stampers! I would like to show you one of the cards we made at this month's Card Club workshops. I know it's still August but wanted to encourage you to start thinking about your Christmas cards. This card was inspired by my upline lovely Peg Becker. When I saw Peg's card, I had to make one and wanted to add my touch to it. Hope you like it! Welcome to Megumi's Stampin' Retreat! Hello! 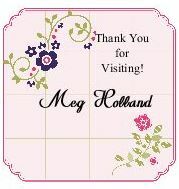 My name is Meg (Megumi) Holland and am a Stampin' Up! demonstrator in the Pacific Northwest. 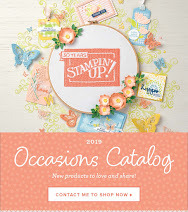 I am so excited to start my stampin blog to share my projects and ideas with you. I'm a full time Mom with two young boys and married to my third boy for 20 years. 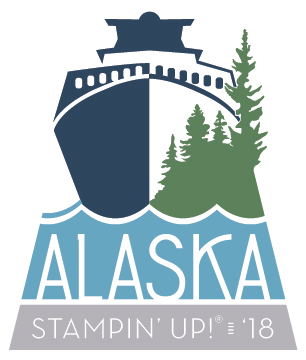 I'm a passionate spoiled stamper who has a large stamping studio at home overlooking two huge ponds on a 15-acre property surrounded by evergreens. 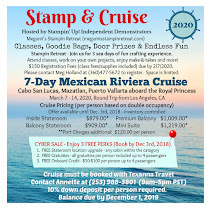 My fellow stampers tell me they feel like they are on a stampin retreat when they come to my place. So, this is how Megumi's Stampin Retreat was created. 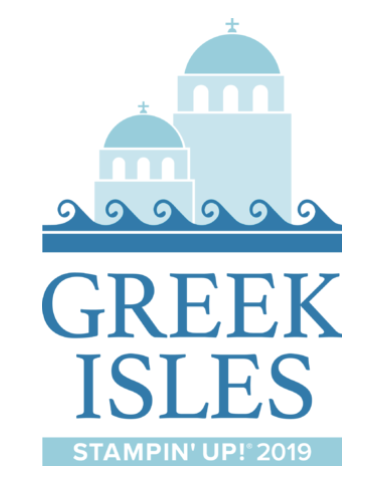 I hope, when you visit my blog, you will be inspired, refreshed AND be happy. Please feel free to contact me if you would like to host a workshop or join any of my monthly clubs (scrapbooking and card making). I also have Big Shot workshops and classes each month.